A small village in Pathanamthitta district in Kerala, Gavi is ideally placed around 14 km away from Kumily in Thekkady and 28 km from Vandiperiyar, a small town in Idukki district. Gavi is one of the major eco-tourism centres in Kerala, which has been listed as one of the must see places in India by world acclaimed tourism major, Alistair International. The journey to Gavi is itself an exciting and rejuvenating experience. During the drive, you will be able sight the beautiful Gavi, covered with tea plantations. Get thrilled with the sights of hills and valleys, tropical forests, grasslands, spectacular waterfalls, cardamom plantations etc. 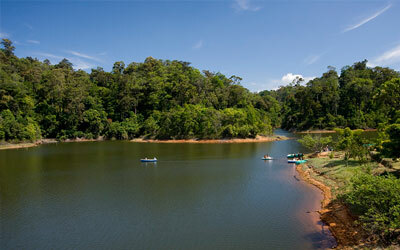 Gavi is a part of the Periyar Tiger Reserve. Planning a trip to Gavi is planning to delve deep into the life of wild flora and fauna. Gavi is very famous for its wildlife. You can sight here endangered species like Nilgiri Tahr and Lion-tailed Macaque along with Elephants. Gavi is considered to be a heaven for bird lovers and bird watchers. More than 260 species of birds like pied hornbill, woodpecker, kingfisher etc are abundant here. Endless activities await you here like trekking, wildlife watching, outdoor camping and night safaris. One of the unique features of Gavi is that you will be getting a chance to camp inside the forest. You can also put up a tent in the camping site, a very rare opportunity usually not allowed in many Indian forests. Just feel the silence and wildness of the forest at night. You can also make use of the tree houses available here. Being at Gavi, you will be able to find the local people here as tourists guides, gardeners and cook. This unique concept was initiated as a part of the Gavi Eco Tourism Project commenced by Kerala Forest Development Corporation. This project aimed to attract the tourists especially those from European countries. The project,gavi tour which targeted nature lovers and adventure tourists, become popular by giving a chance for the local people here to earn their bread through tourism and also creating awareness on conservation of nature among them. The best time to visit Gavi is from September to February. You will be getting a chilling experience during this period at Gavi. If you want to enjoy the heavy monsoon at Gavi, plan your trip from June to September. The summer period (from March to May) is usually not preferable. But if you want to visit, there are no restrictions. 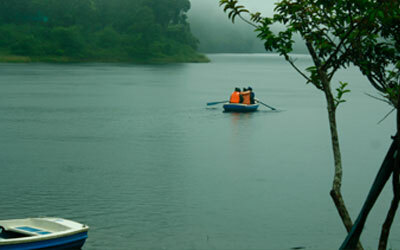 You can also explore places nearby Gavi like Mundakayam, Kuttikanam, Peerumedu and Vandiperiyar. The nearest railway station is Kottayam railway station (128 km) and the nearest airport is Nedumbassery airport, Ernakulam (160 km). From Kumily you can hire a jeep to reach Gavi. Entry passes are available at the Forest checkpost, Vallakadavu. 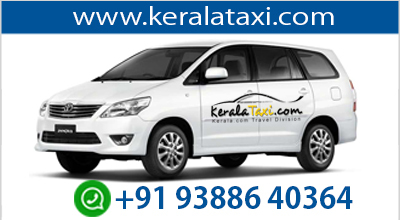 Advance booking with the Kerala Forest Development Corporation is recommended to make your trip more enjoyable and comfortable.